Monday, October 14th, 201311:30 amThis entry was posted on at and is filed under Electronics. You can follow any responses to this entry through the RSS 2.0 feed. You can leave a response, or trackback from your own site. 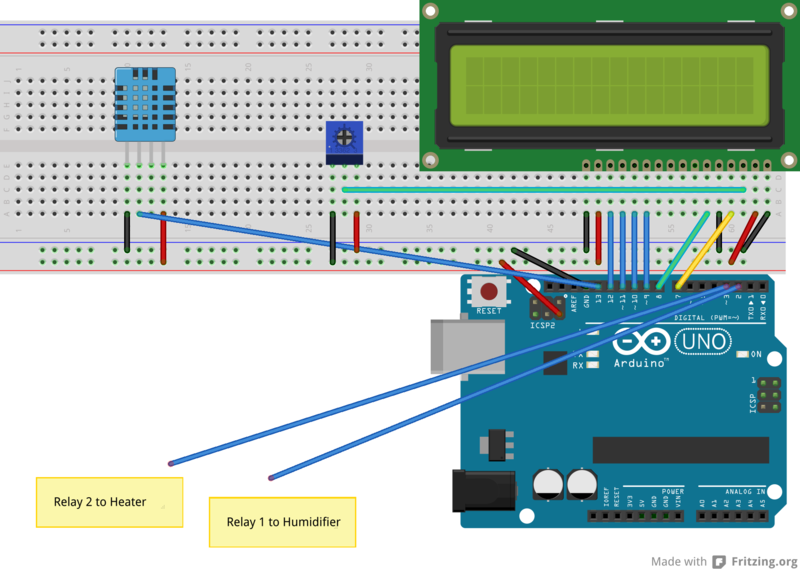 I’m a newbies in arduino from Viet Nam, I knew about your project via hackaday. I have plan to build a project like your project. When I watch your circuit, I don’t know what is second small component, which is second from left, what’s it doing? Can you explain for me! That’s a variable resistor, and adjusts the contrast on the LCD screen.